Graduating college is a momentous achievement. But once the diploma is awarded and the parties are over...now what? 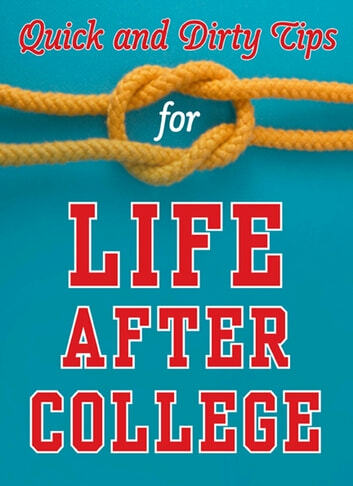 How do we bridge the gap between our college days and the "real world"? That's where the experts at Quick and Dirty Tips come in. Their wisdom and experience will turn your uncertainty into confidence, your ineptitude into skill, and your questions into answers. - How do I get a job? - Should I go to law school? - How do I lose the weight I gained in college? - Can writing become a career? - Is my resume causing my unemployment? - How do I stock a healthy kitchen on a budget? - How can I use math to land my dream job? 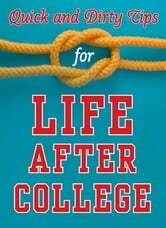 Incorporate this insightful advice into your post-college life and you'll cruise straight to real life success! Deidre Hall's How Does She Do It? Work From Home Jobs. The 25 Best Paying. Finding Money, over 500 places to find spare cash in your life. Backstage Hair: Is it Pleasant to Touch? Shift Happens! No Job. No Money. Now What? A Life You Want: Take Charge of Your Life!